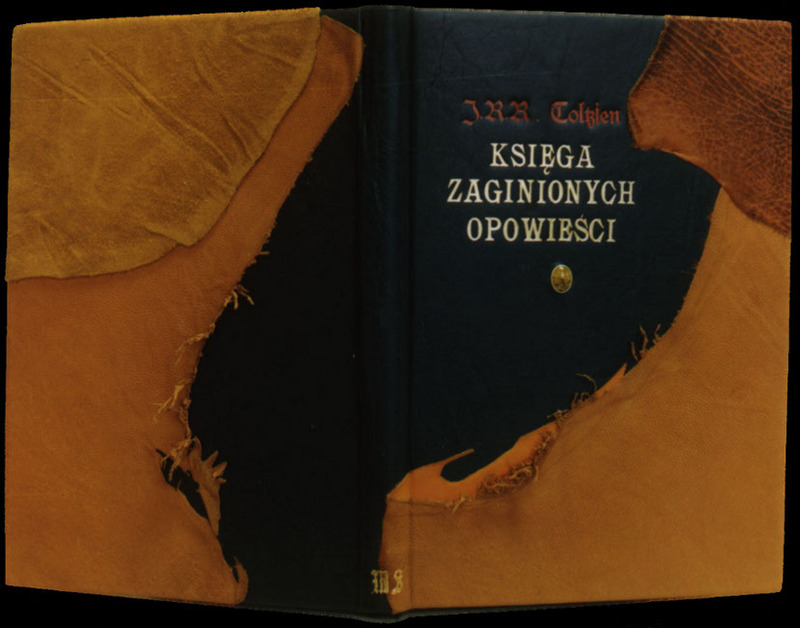 Two different bindings of The Lord of The Rings ( polish version: Władca Pierścieni ) were published and both were done using a new kind of binding invented by The Artistic Publishing House in Koszalin called Erudite binding. The first edition was hand bound in high quality black calf leather with dragon optic leather, amber and crushed white and blue foil at the top of the cover. 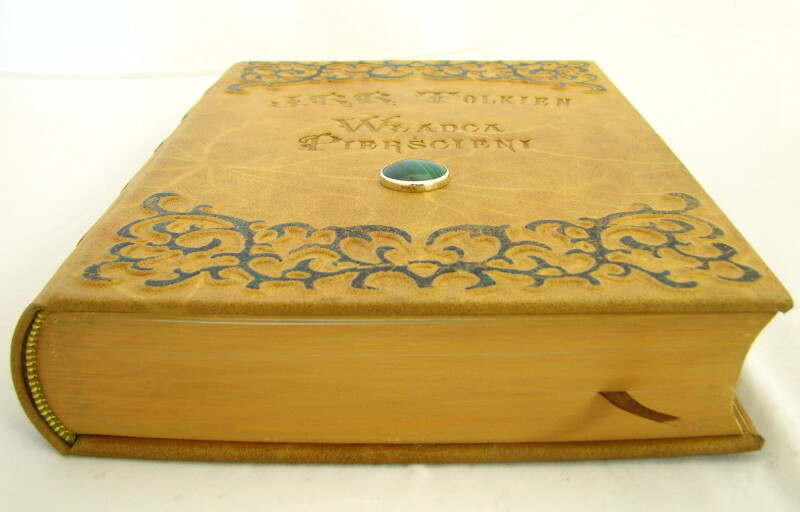 The black binding portrays the mystery and the lurking evil that was threatening Middle-Earth. The tower of Mordor on the cover was made with relief technique on the top of which is the scary eye of Sauron presented in red exclusive amber in silver. 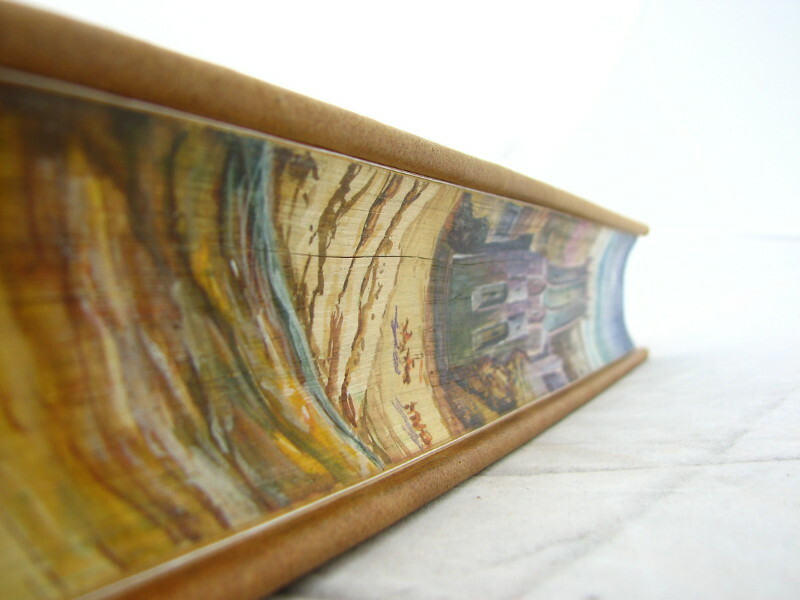 The fore edge beautiful Tolkien themed paintings of Saruman’s fortress was done by excellent artists. Just like the latter the second edition was also hand bound in delicate Holland leather with exclusive turquoise stone in silver. The special decor on the cover coloured with dragon green was made using relief technique. 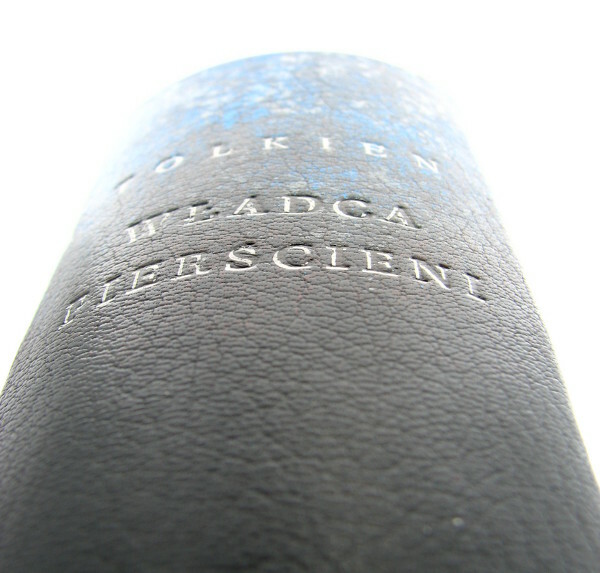 The spine was adorned with crushed black and dark turquoise foil. The cracks on the cover represents the cracks on the land of Mordor. The subtlety of this piece of art is remarkable.